So they have a purpose after all! 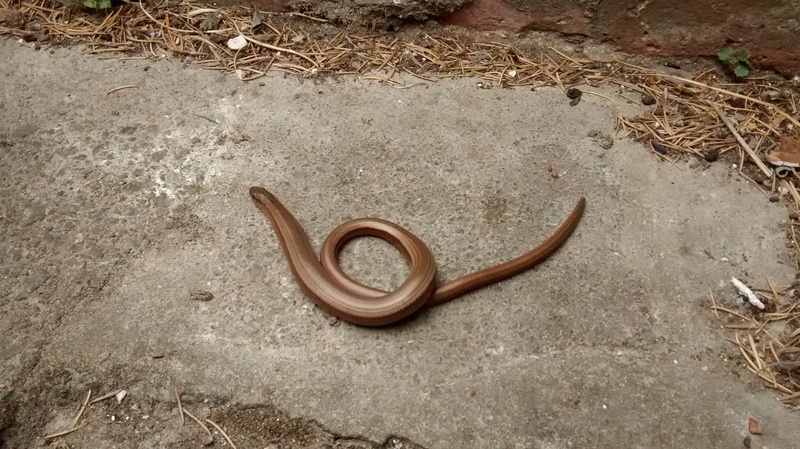 After a long battle with snails this year, for once I caught them doing something useful. Every year, an ancient apple tree drops inedible apples on my patio at the top of the garden. These apples are huge Bramleys that rot, even while they’re on the tree; a tree that’s gradually dying but I haven’t the heart to cut down. When my dog was a puppy, she used to like playing with the apples and I dreaded her chomping on a lurking wasp by mistake. On countless occasions I’ve almost twisted my ankle on apples or skidded on their slushy remains in the rain. I can’t sit at the table on the patio in the wind without wearing a tin helmet. They jump like bouncing bombs across the lawn, requiring picking up before mowing the grass. And for all their sins, not a single apple pie to be had. Hopefully, the baby apple tree at our allotment will produce its first yield of Cox’s this year. 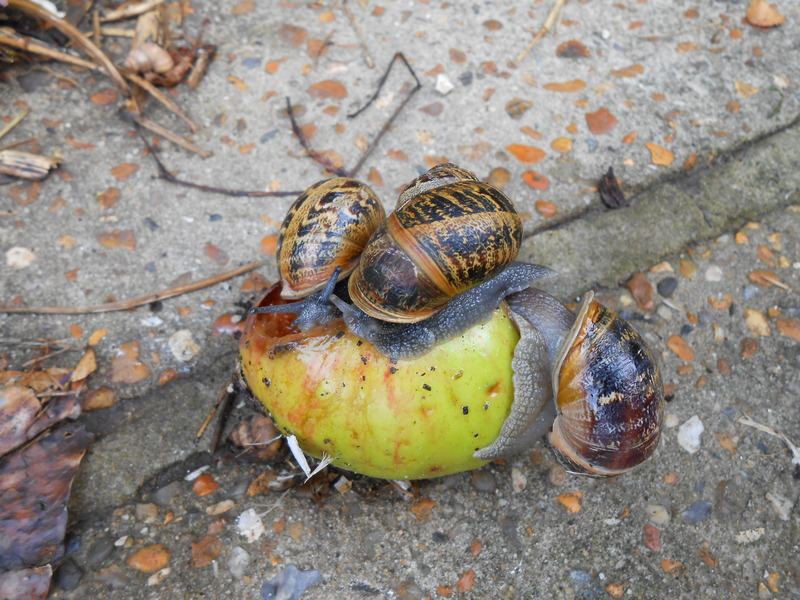 Meanwhile, perhaps I should transport a bag of rotten Bramleys there to keep the snails off our vegetable produce. 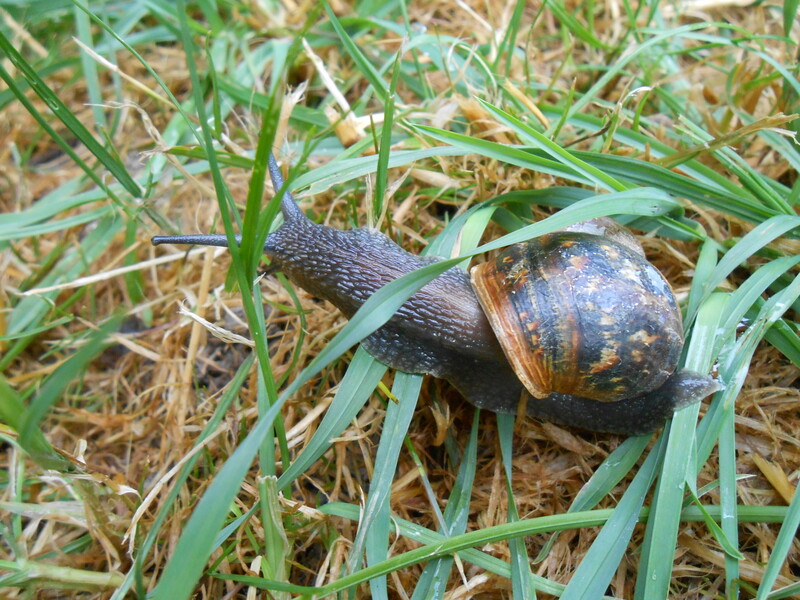 On the other hand, perhaps every snail within a mile would head to our plot for the chance of a squidgy apple feast. 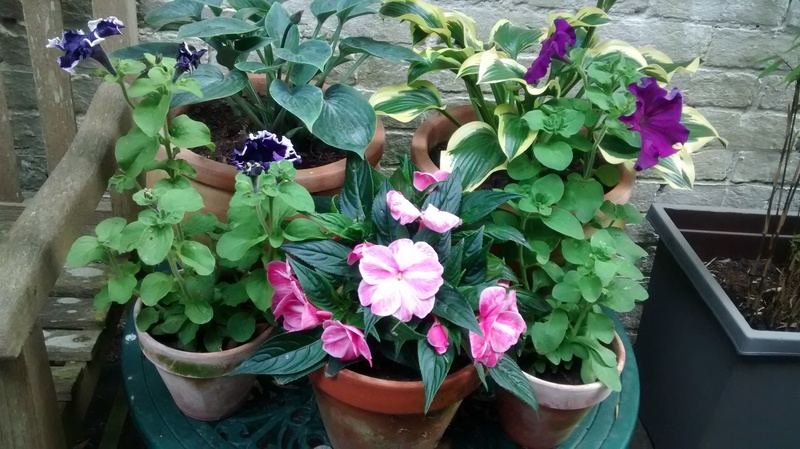 Author Sarah Potter WritesPosted on 29/07/2014 Categories Allotment, Nature, PhotographyTags garden pests, snails12 Comments on So they have a purpose after all!